The Sumitomo Group, of which Sumitomo Corporation is a key member, dates to the 17th century establishment of a book and medicine shop in Kyoto by 小次郎政友　Masatomo Sumitomo. Sumitomo's brother-in-law 蘇我理右衛門　Riemon Soga developed a technology to extract silver from copper, and Soga's son (who married Sumitomo's daughter) 住友友以　Tomomochi Sumitomo expanded this smelting business to Osaka. 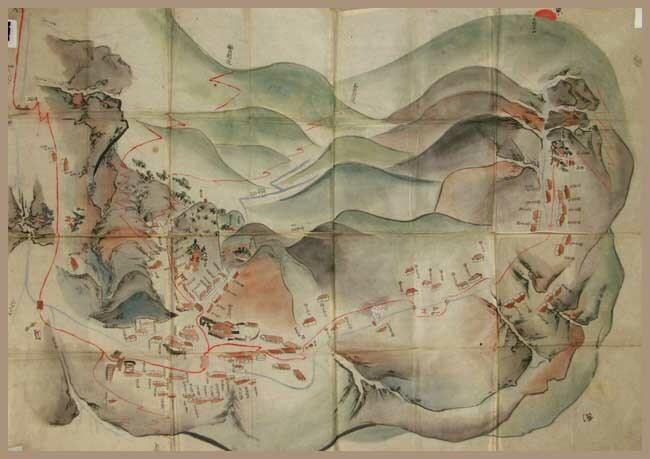 From this start, the Sumitomo family expanded its business into copper mining (the Besshi copper mine), followed by textiles, sugar and medicine trading. Its 家号 Yago house name was 泉屋 Izumiya. The Sumitomo family was close to the Tokugawa shogunate throughout the Edo period. During the 1860s, this relationship became a liability for the firm as the Tokugawa clan warred with rivals in western Japan. Following the Tokugawas' defeat, Sumitomo was almost ruined and under pressure to sell the Besshi mine, which by that point was nearly unworkable. However, Sumitomo kept the mine and improved its output through adoption of new Western techniques. During the rapid westernization of Japan in ensuing decades, Sumitomo started various new trading, manufacturing and financing businesses, becoming one of the major zaibatsu of early 20th century Japan. is one of the largest worldwide Sogo shosha general trading companies, and is a diversified corporation. 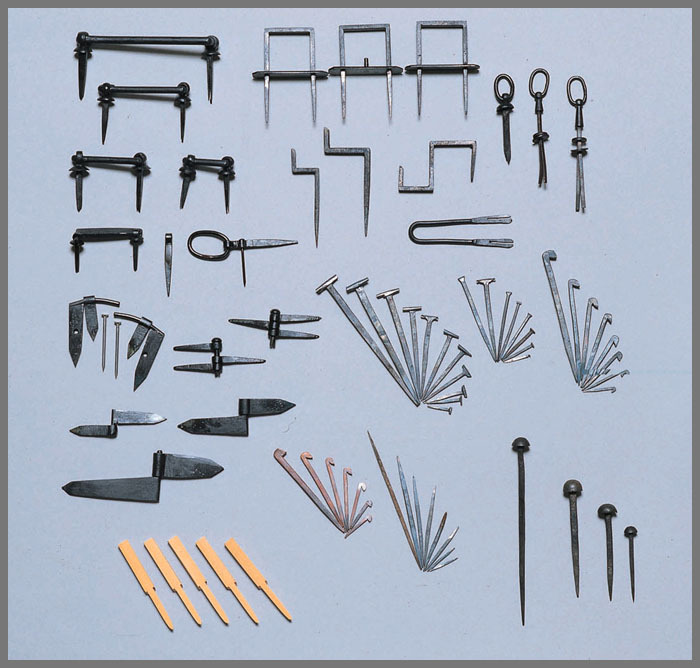 The company was incorporated in 1919, it is a member company of the Sumitomo Group. The Besshi copper mine (別子銅山 Besshi dōzan) was a rich source of copper in Niihama, Ehime Prefecture. The deposits were discovered in 1690, and mining began in the following year. From then until the closing of the mine in 1973, Besshi produced about 700,000 tons of copper, and contributed to Japan's trade and modernization. The Sumitomo family managed the mine, which helped build the Sumitomo zaibatsu. The Dōzan River was named after the copper mine.
. kikyoo 桔梗 Chinese bellflower - Platycodon grandiflorus. .
. kusabue 草笛 "reed flute" . - - - - - There was one more important copper mine in Japan. The Ashio Copper Mine, Ashio, Tochigi prefecture, became very significant from the end of the 19th century to the mid-20th century. It was the site of major pollution in the 1880s and the scene of the 1907 miners riots. The Ashio mine has been in existence at least since 1600 when it belonged to the Tokugawa shogunate. At that time it produced about 1,500 tons annually, although this declined when the mine was closed in 1800. It became privately owned in 1871 following the industrialisation initiated by the Meiji restoration. By 1877 it became the property of Furukawa Ichibei, and by the 1880s production had increased dramatically, reaching 4,090 tons by 1885, 78 per cent of the total output of the Furukawa mines and 39 percent of Japan's copper production. The Ashio mine was shut down in 1973. 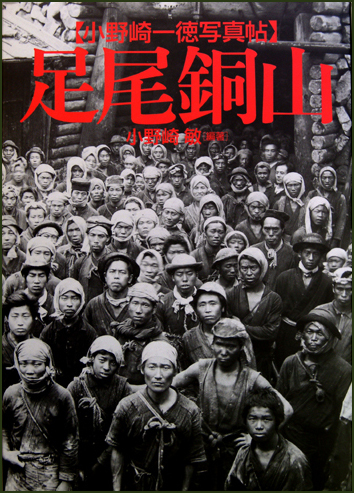 The Ashio Copper Mine Incident is the name given to the environmental disaster that occurred as a result of the Ashio mining operations in the late 19th and early 20th centuries. feel so heavy . . .
Once upon a time a rich merchant from Osaka found a silver fox in his garden, but when he woke up from this dream, his wife had turned into a silver fox. So the wife-fox left her husband, but he came after her, travelling around in Japan. One day his wife-fox appeared again and told him, if he climbed up this mountain he would find precious metal. This is the beginning of the Ani doozan 阿仁銅山 copper mines in Ani . 阿仁鉱山 Ani Kozan mines for copper, gold and silver. Copper was first found in 1716. Shut down in 1987. Originally developed as a gold mine in 1300s, Ani mine became one of the top three copper mines in Japan with the highest record copper production in 1716 when operated by the Satake clan. German mining engineers were invited in the 19th century to further improve its production. Ijinkan is a western building that used to accommodate such engineers, including Adolf Meckel, and was later used as a guesthouse after they left. The building was designated a national cultural asset in 1990. The stonefish (kajika 鰍) from Tsuchikawa village living below the copper mine lost one eye when the paths were hit by a landslide and the blood of the killed workers flowed down the river, filling one of the fish's eyes. This mine for gold, silver, copper, lead and zinc in the 大仙市 Daisen town district was closed in 1972. There is a small shrine in honor of Masa no Gozen 正の御前, 正之御前社. It is about 540 meter high on Ebisu mountain. 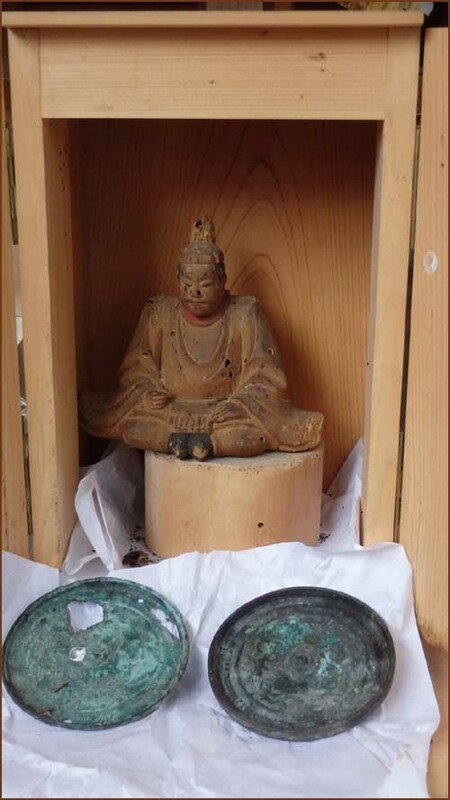 In the shrine is a deity and two bronze mirrors. A warrior from Echizen who had lost his head in battle and his retainer Masa no Gozen burried it on the mountain. He had come from Odawara, Kanagawa and settled in the district near Nihonbashi and Yorozucho 萬町, which soon took the name of the Odawara original. where the fish for Edo Castle were kept in ikesu　生洲 fish preserve ponds. Near the wholesalers, smaller vegetable shops also set up business. Most of this area got lost and parts of it are now reconstructed and excarvated from the ruins. is still a common word for collecting sansai　山菜 mountain vegetables in spring. From there street vendors would take off every day. There are other districts in Japan with this name. 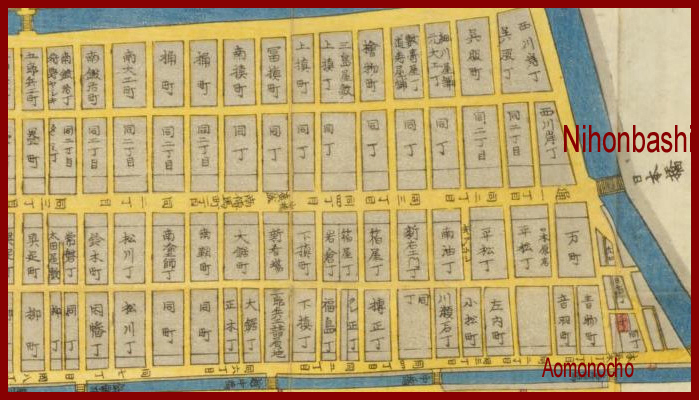 The district used to be called 仙北町新小路 Senboku and was re-named to Aomonocho in 1812. It is the district in front of the shrine 駒形神社 Komagata Jinja.
. Kappa legends from Iwate 河童 / かっぱ / カッパ . At 青物町 Aomonocho there lived a former Sumo wrestler, he now dealt with horses (bakuroo バクロウ). Once he went to the river with a horse, where he met a Kappa. The Kappa wanted to pull the horse into the water, but the strong Nanatsutaki pulled him out with ease. The Kappa apologized and promised never to pull humans into the water again. He promised to stay off from 明神淵 Myojin-Fuchi to 御舟小屋 Ofune-Koya. And all other Kappa would also respect this promise.
. Kawahigashi Hekigoto 河東碧梧桐 .
. daikon 大根　Radish, Reddish, Raphanus sativas .
. koorogi 蟋蟀 cricket, Gampsocleis buergeri . Sennyu-ji Temple is the headquarters of the Sennyu-ji School of the Shingon sect of Buddhism standing at the foot of Mount Tsukiwa 月輪御陵拝所 . Since this temple is the home to successive imperial members' graves, it is also respectfully called Mitera. According to temple history, the important Buddhist priest, Kukai opened a temple at this location in the early 9th century and named it Horin-ji. Later in 1218, when another Buddhist priest called 月輪大師俊仍 Gachirin Shunjo constructed new temple buildings, water sprang up from the ground so the name of the temple was changed to Sennyu-ji Temple, or temple where water springs. This water still continues to provide pure water to this day. The large temple precinct consists of Dai-mon 大門 main gate, Butsu-den Hall　仏殿, Shari-den Hall　舎利殿　and Reimei-den Hall 霊明殿　where successive imperial members' spirit tablets are placed. Many other buildings are accommodated in the large temple property. Each sub-temple has a different deity and characteristics, so visiting them one by one is also very interesting. Being apart from the central city area, this temple emanates serenity and seasonal beauty no matter which season you visit. (but when the Emperor visits, it is replaced by a tabel and chairs for the Imperial family). This park is especially beautiful with the red autumn leaves. CLICK for more colorful autumn photos ! Located on the slopes of Higashiyama, Kyoto's eastern mountains, Sennyu-ji temple might be a little bit hard to reach as it is off the main tourist tracks. Despite its lack of accessibility, it is a must see among Kyoto's Buddhist temples. Surrounded by a dense forest, it is a secret well preserved, even from many locals, a haven of peace which contains more than twenty-five imperial mausoleums. A simple but massive wooden gate west of the temple marks the frontier between the secular and the sacred world as your journey begins here with a short but steep climb. 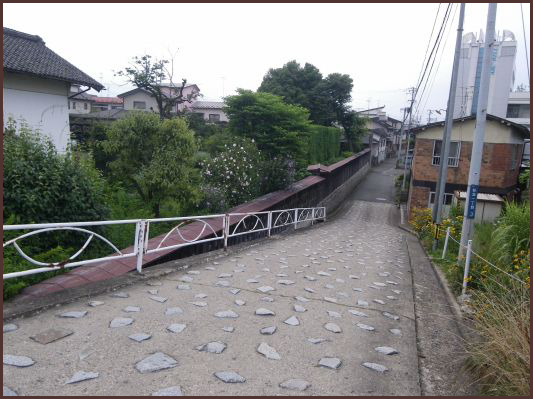 Turn right at the intersection and follow the main road to reach the temple's main gate (daimon). Sennyu-ji, or the "temple of the gushing water", is said to have been founded during the 13th century by the illustrious monk Junjo. Sponsored by feudal lords and aristocratic families, he was allowed to build the first pavilions of what would become a flourishing Buddhist school during the next centuries. Burnt down almost entirely during the 15th century, most of the buildings were rebuilt in the mid-seventeenth century and still stand today. Start by heading left to reach a small pavilion, the yokihi kannon-do. You can admire a very rare statue of Kannon, the Buddhist goddess of compassion, brought back from China in 1255. It is said to have been carved to reflect the beauty of the legendary Chinese Empress Yang Guifei. Until 1955, this treasure used to be kept hidden and shown to the public only once every hundred years! Turn left as you exit and follow the path down to reach the main hall (honden) and, behind it, the hall of Buddha's relics (shariden). Both are heavily influenced by Chinese architecture. Feel free to enter the first one as it contains several treasures, including a rare set of gold-layered Buddha statues. The shariden, where a tooth taken from the historical Buddha's relics is said to be enshrined, is unfortunately closed to the public except on special occasions. You can still enjoy its splendid curved tile roof, covered with a silvery sheen on rainy days. Before entering the last pavilion of the temple compound, you should make your way to the right, behind the hall of relics. A narrow approach along the forest will lead you to an imperial mausoleum, one of a kind in Japan. Since 1242, fourteen Emperors and several other members of the Imperial Family have chosen to be buried here. Far from the city lights and bustle, this is probably when you will realise that you have not heard a sound for the last hour. Visit the gozasho, used as a resting place by the Imperial Family since the 19th century, photographs, personal artifacts, pieces of art and folding screens are on display here. From mid-November to early December, the blaze of maple trees will paint the charming inner garden with vivid colours. Enjoy this moment of tranquility while sitting on the wooden balcony. Often called Mitera, or The August Temple, due to its connections with the Imperial Family, Sennyu-ji is a witness to the passing of time like no other place in Kyoto. The superb architecture and unique atmosphere within an ever-changing city is a delight for the senses. 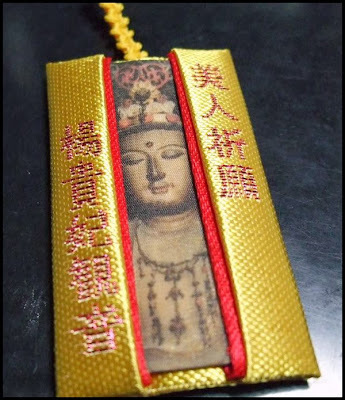 Whatever the season, you will hardly ever forget the journey.
. bijin 美人 beauty - beauty amulet 美守 - bijin kigan 美人祈願お守り . 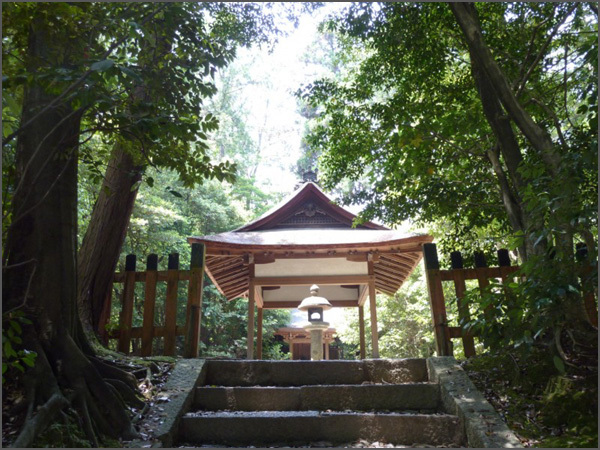 The temple is part of many Kannon pilgrimages and other pilgrimages since the Edo period.
. Kobo Daishi Kukai 弘法大師　空海 . Kanmu Tenno 桓武天皇 (737 - 806) wanted to make sure 平安京 Heiankyo (Kyoto) would stay the capital of the empire for ever. So he ordered a huge statue of a warriour in armor, holding a bow and arrow, made of about 240 cm and burried it in a mound at Higashiyama, facing West. This is the mound above temple Sennyu-Ji, 将軍塚 Shogunzuka. Sometimes the mound rumbled as an omen. 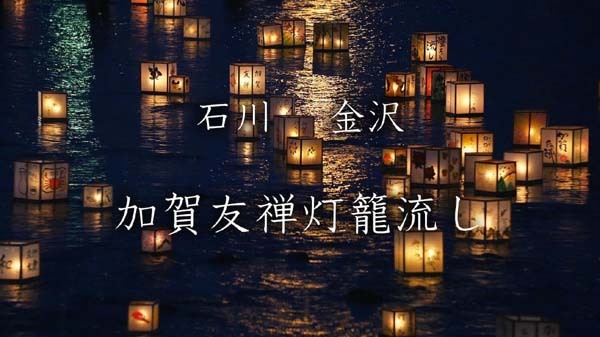 For example in the year 1156 at the Hogen no Ran 保元の乱 Hōgen Rebellion, in the year 1177 when Taira no Kiyomori moved to Fukuhara 福原遷都 and in the year 1493 and 1511 during the Ashikaga Shogunate. Also in 1598 when Toyotomi Hideyoshi died. The Shogunzuka Mound (将軍塚, Shōgunzuka) is located on the eastern mountains of Kyoto on the spot where Emperor Kanmu is said to have first surveyed the valley where he ultimately build the ancient capital city of Kyoto. Keeping with this tradition, Shogunzuka is perhaps best known these days for its observation decks which offer spectacular views out over the city below. The area is part of Shorenin Temple whose main buildings stand at the base of the mountain. Posted By Gabi Greve to Gokuraku - Jigoku on 12/03/2015 01:21:00 p.m.
yuuzenzome　友禅染 "Yuzen-style Kimono dyeing." A form of paste-resist dyeing with beautiful colors and pictorial designs. Itis named after the Kyoto fan painter 宮崎友禅 Miyazaki Yuzen, who is credited with perfecting the technique around 1700.
. yuuzenzome　友禅染 - "Yuzen-style dyeing" . 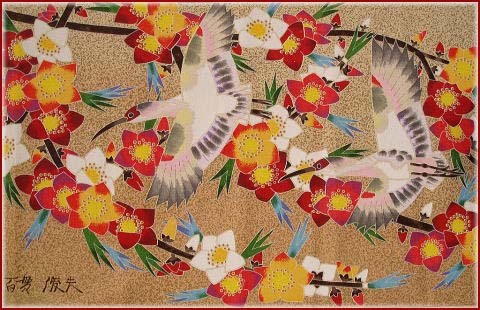 -- For Tokyo Tegaki Yuzen (hand-painted kimono), preliminary designs are sketched on textiles using an extract from spiderwort （青花 aobana, Asian dayflower), etc. -- Resist dyeing is done by applying either dye-resistant pastes to textiles or by covering areas with wax. 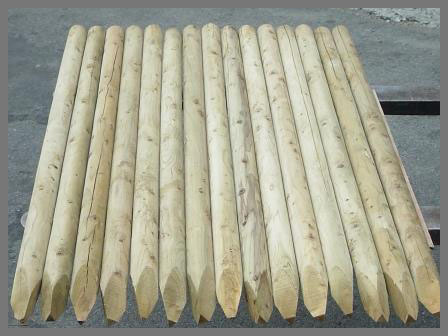 -- Various types of brush are used for coloring and the painting of designs. -- Crests are applied either by brush or by using paper cut-out stencils. -- Embroidery is undertaken by hand. 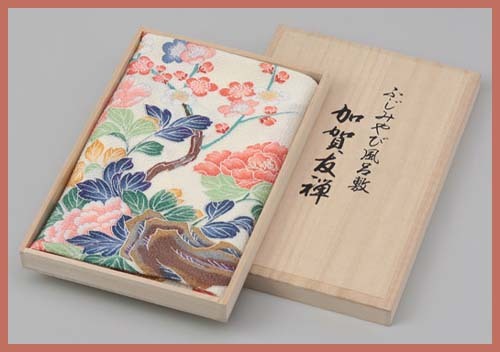 The origins of yuzen dyeing are said to lay in the Edo Period's Jokyo Era (1684-1687) during which there was an artist in Kyoto whose real name was Hioki Kiyochika 日置清親 (1650-1736). This person nevertheless used Miyazaki Yuzensai 宮崎友禅斎 as his professional name. In 好色一代男 "The Life of an Amorous Man," a well-known work of fiction of the Edo Period by Ihara Saikaku (1642-1693), there is a woodblock print called "The Twenty Dyed Fan Yuzen," this title hints at the fact that Miyazaki Yuzensai was also known to be a painter of fans. 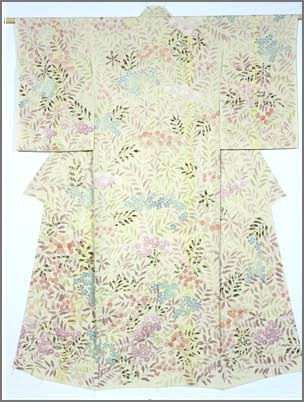 One day, due to a request received from a drapery, Miyazaki painted a design that featured a pattern of family crests, and it subsequently became wildly popular. The pattern represented a departure from dyed goods up until then, with its popularity said to have stemmed from its use of color. Ogata Korin 尾形光琳 (1658-1716), one of the most well-known artists in Japanese history also tried his hand at yuzen techniques, and examples of his work remain with us today. When Tokugawa Ieyasu (1543-1616) established the Edo Shogunate (1603-1868), many dyers and artists employed by daimyo (feudal lords) relocated from Kyoto to Edo. Various technologies and techniques were patronized, and this resulted in the creation of a wide variety of both woven textiles and dyed goods. That water was an integral part of dyeing processes also proved a very important factor. Thus, many dyers ended up living along the banks of the Kanda River. A drapery called "Echigoya" 越後屋呉服店 opened in Nihonbashi (now known as the Mitsukoshi Department Store) in the first year of the Enpo Era (1673). It established a dye works further up the Kanda River around Tokyo Yamanote (close to modern Takadanobaba in Shinjuku Ward). 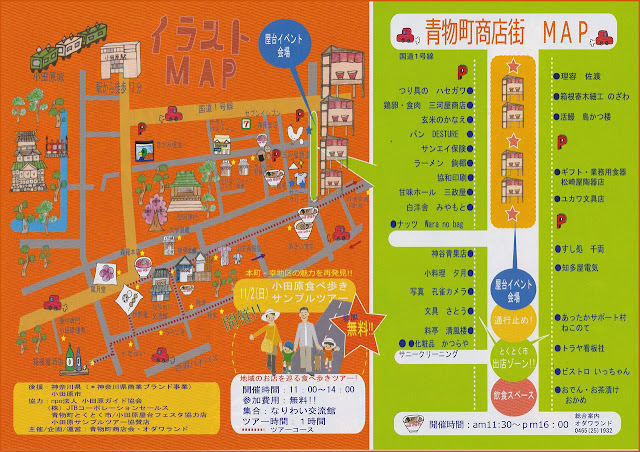 Even today, the largest number of dye works in Tokyo is found in Shinjuku. Concerning Tokyo Tegaki Yuzen (hand-painted kimono), from development of conceptualizations, the sketching of preliminary designs, and until project completion, craftspeople carry out tasks as a continuous operation, each working individually. A feature of such kimono is that even within garments of a single color, there is a sense of beauty and elegance. Since the very expensive Kimonos made of stiching patterns with gold and silver thread and other kinds of high-class patterns were eventually forbidden in Edo, the craftsmen had to think of other methods to bring some "color" in the daily life of the citizens. The process of Yusen-dyeing is quite complicated and soon specialists for each process came together in a workshop to share the work.
. . . , drying again . . .
. Kaga Yuzen 加賀友禅 from Ishikawa . CLICK for more Yuzen Furoshiki ! Posted By Gabi Greve to Edo - the EDOPEDIA - on 11/24/2015 09:29:00 a.m.
Jizō vowed to assist beings in each of the Six Realms of Desire and Karmic Rebirth, in particular those in the hell realm, and is thus often shown in groupings of six. .. more details on the six states (also called the Six Paths of Transmigration or Reincarnation, the Wheel of Life, the Cycle of Samsara, or Cycle of Suffering), .. In Japan, groupings of six Jizō statues (one for each of the Six Realms) are quite common and often placed at busy intersections or oft-used roads to protect travelers and those in "transitional" states. Jizō also often carries a staff with six rings, which he shakes to awaken us from our delusions. The six rings likewise symbolize the six states of desire and karmic rebirth and Jizō's promise to assist all beings in those realms. In Japanese traditions, the six rings, when shaken, are also meant to make a sound and thus frighten away any insects or tiny animals in the direct path of the pilgrim, thus ensuring the pilgrim does not slay or accidentally kill any life form. In Chinese traditions, Jizō shakes the six rings to open the doors between the various realms. Worship of the Six Jizō can be traced back to the 11th century in Japan, but this grouping has no basis in Mahayana scripture or in the writings of Buddhist clergy. Its origin is probably linked to a similar grouping of Six Kannon (one for each of the six realms) that appeared in the early 10th century in Japan's Tendai 天台 sect. 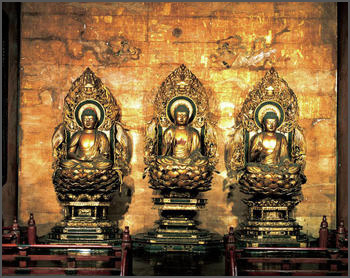 This grouping of Six Kannon originated much earlier in China, and draws its scriptural basis from the Mo-ho-chih-kuan (Jp. 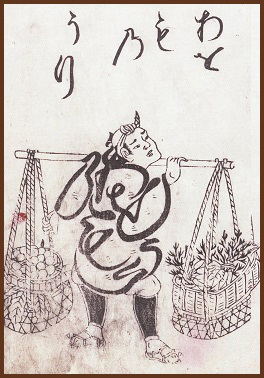 Makashikan 摩訶止観), a work (circa 594 AD) by the noted Chinese Tien-tai master Chih-i 智顗 (538 - 597). 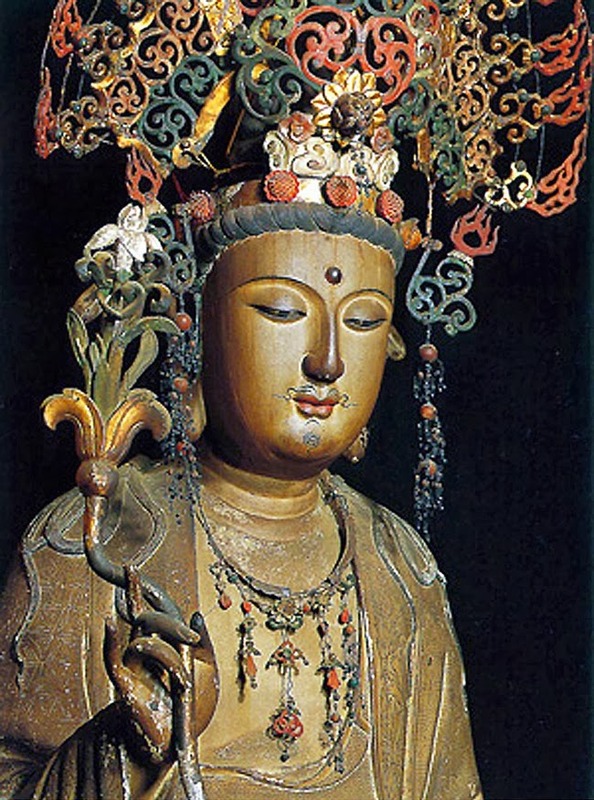 By the 11th century, Japan's Shingon sect also began venerating the Six Kannon. 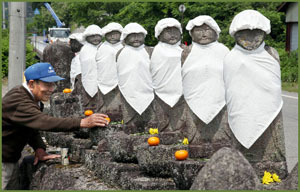 The worship of Six Jizō appeared around the same time. The six emanations of Jizō vary among temples and sects. 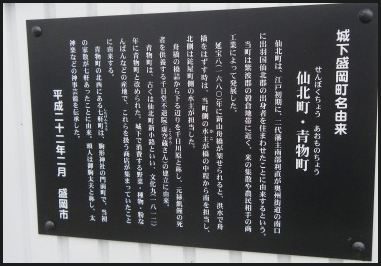 also known as Hibō Jizō 被帽地蔵) is an extremely popular fairy tale attributed to both Iwate and Fukushima prefectures. Below summary from the Japan Society. On New Year's Eve, a poor old man goes to the village, hoping to sell a piece of cloth his wife wove to make some money for the New Year's holiday. He meets a man who is trying to sell straw hats, and he exchanges the cloth with the man's five hats. On the way back home in the snow, the old man spots six stone statues of Jizō looking cold. The kind old man covers their heads with five straw hats and his own scarf. He returns home with empty hands but his wife is happy for what he has done. 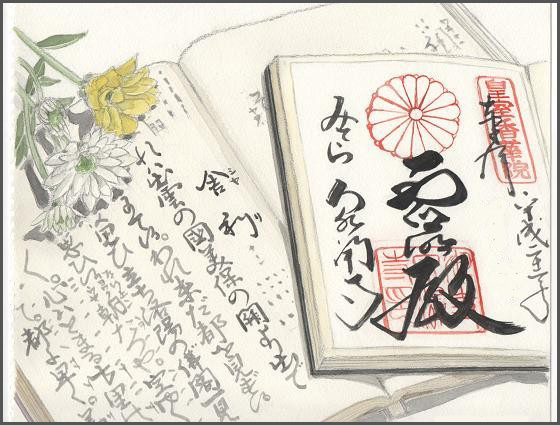 During the night of New Year's Eve, the six Jizō reward the couple for the their unselfish generosity. On the morning after the strong earthquakes of March 11, felt here three times with a strength of about 6 within two hours, these six statues had changed their direction, from looking south, to about 90 degrees further toward the direction of the earthquake, toward Sakae-mura village 栄村. The road and railway were disrupted and the 2000 villagers had to be evacuated. 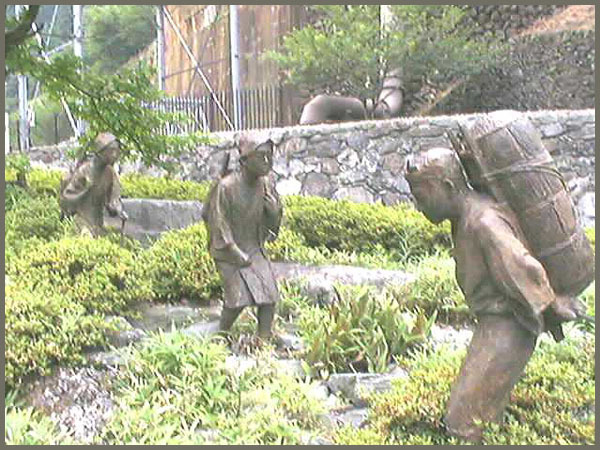 The statues are about 70 cm high, made of stone. The first Jizo, the leader, did not change his position, but the six others faced Sakae-Mura as if to protect the villagers from harm. And indeed, no casualities in the village. 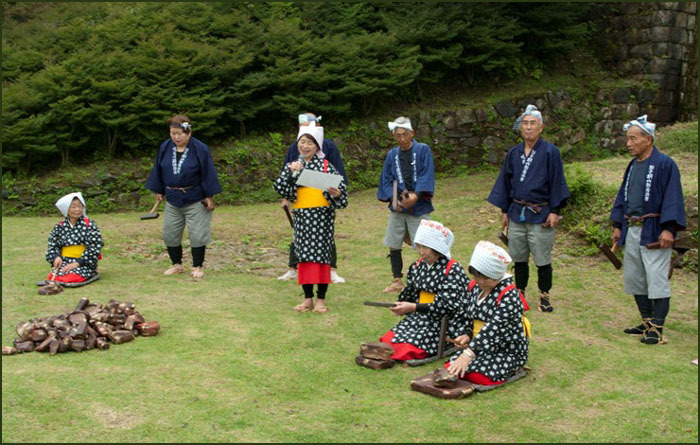 Now they are venerated even more as protectors of the village.
. Japan - after the BIG earthquake 2011 . "The new year is coming closer. We'd better sell these textiles in Tadami and prepare for the new year. Would you go to Tadami to sell them?" "All right," said the old man, and totteringly set out for Tadami in the rain, wearing a straw rain coat and a bamboo hat. In his hands were the textiles the old woman had woven.
. Minwa Jinja 民話神社 Minwa Shrine of Folk Tales . 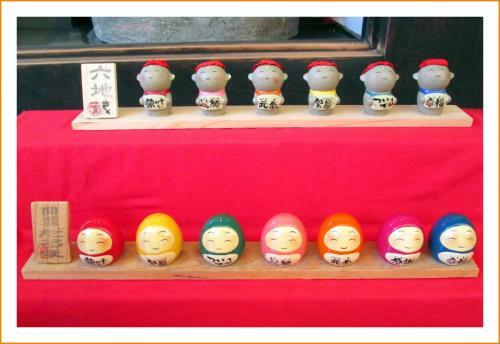 If a woman does not make offerings to the Roku Jizo, a stupid child will be born to her. These children would go to the Roku Jizo and play "yarekarame やれからめ, tying their legs with the long hair they cut off. Once one of the Roku Jizo went out to enjoy himself at night and did not come back. So the villagers built a new one and placed it beside the 5 others. But then - two years later, the old statue was back in its place - Jizo had come back. Near the Roku Jizo crossing on the road to Nara there lived a Tanuki. A villager tells the story of his boyhood, when he passed that road at night. There he met the monster O-Nyudo with the long neck. He was so afraid, he ran home all the way. At the beginning of the Bon Dance in Autumn there appeared a beautiful girl which sang with a wonderful voice. When the villagers followed her on the way home, she disappeared at the crossroads with the Roku Jizo. She never came back for the Bon Dance and the villagers were sorry they had disturbed her incognito. Nach dem Tode gehen die Seelen der Menschen einen der sechs Wege (rokudoo) zu einem der sechs Existenzbereiche, in dem jeweils auch eine Kannon-Figur zu ihrer Errettung wartet: Welt der Götter (Wunscherfüllende Kannon), Welt der Menschen (Reineits-Kannon), Welt der Dämonen (Elfköpfige Kannon), Welt der Tiere (Pferdeköpfige Kannon), Welt der hungrigen Totengeister (Tausendarmige Kannon) und Welt der Höllenbewohner (Heilige Kannon). Die sechs Jizoos führen aus diesen sechs Bereichen zum Paradies. Besonders häufig in der Joodo-Sekte. Häufig als sechs einzelne Steinfiguren mit roten Lätzchen und Mützchen an Wegkreuzungen oder am Eingang eines Friedhofes. Ganz selten sechs Figuren auf einem Stein, entweder je eine auf einem sechseckigen Stein oder auf drei Flächen jeweils zwei Figuren. Dabei unten die Reliefs der Jizoo-Statuen und oben eine Öffnung zum Einstellen einer Lampe, wie bei einer Steinlaterne (juusei rokumentoo) oder mit einer einfachen schirmförmigen Abdeckung (tansei rokumentoo). Es gibt auch sechs Jizoo-Statuen in sechs verschiedenen Tempeln, z.B. 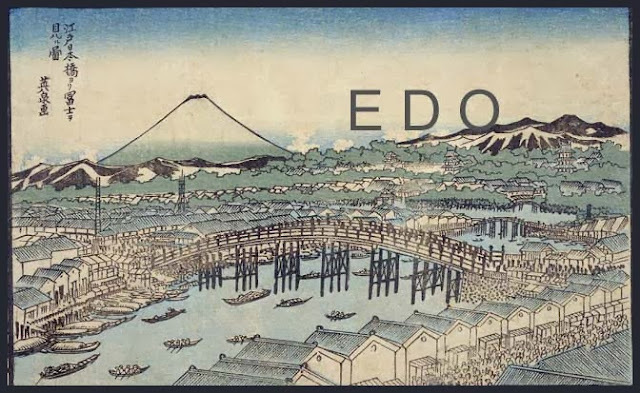 in Kyooto an den ehemaligen sechs großen Verkehrswegen der Stadt während der Edo-Zeit. 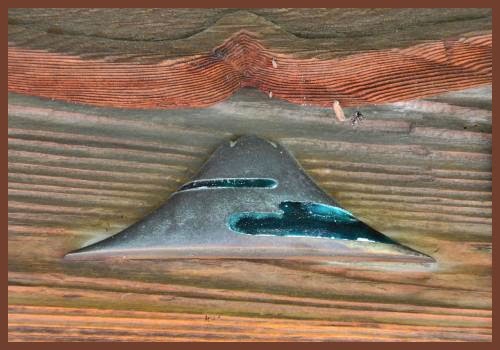 Sehr selten als sechs Holzstatuen. Yotenga Welt der Götter (ten); Juwel. Hookon Welt der Menschen (jin); langer Pilgerstab. Kongoogan Welt der Hölle (jigoku); Banner der Hölle. Kongoohoo Welt der Hungergeister (gaki); Juwel. Kongootoo Welt der kämpfenden Dämonen (ashura); Banner der Hölle. Kongoohi Welt der wilden Tiere (chikushoo); langer Pilgerstab. Daiseijoo Menschen Juwel Fürchtet Euch nicht! Jizoo Bosatsu, Hooshuu Bosatsu, Hoosho Bosatsu, Hooinshu Bosatsu, Jichi Bosatsu und Kengoi Bosatsu. Andere Versionen mit gefalteten Händen, Rosenkranz, Pilgerstab (mit zwei Köpfen (jintoojoo) oder mit einem Drachenkopf) und wunscherfüllendes Juwel, Baldachin, Räucherbecken oder einer Gebetsfahne kommen ebenfalls vor.
. Sechs Jizo-Statuen an Wegkreuzungen .
. natsuno 夏野 plains in summer, wild fields in summer .
. Pilgrimages to Jizo Bosatsu 地蔵菩薩 - 地蔵霊場 Jizo Reijo .
. 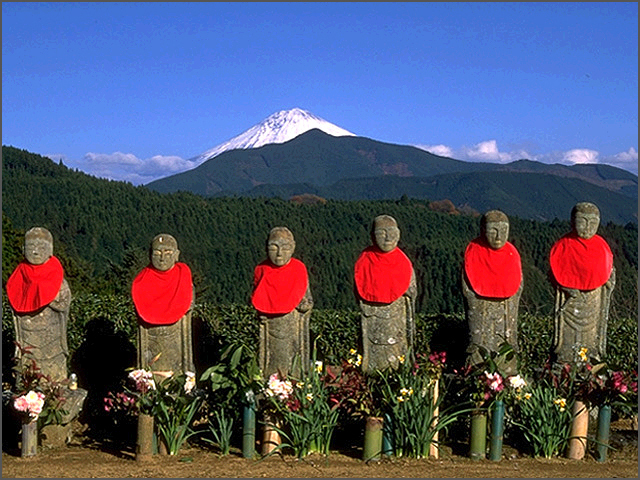 Legends about Jizo Bosatsu - 地蔵菩薩 . Posted By Gabi Greve to Gokuraku - Jigoku on 6/09/2015 01:06:00 p.m.